This pattern took a little longer than needed. I probably rewrote the pattern over 3 times until finally, everything was perfectly aligned to create this cute little unicorn security buddy blanket. I also got feedback from a few people before it officially became what it is now. At first with the granny square I was trying to create a blanket, however, I miscalculated the amount of yarn I had. Since these colors already looked unicorn like I decided a security buddy was needed. Here is a closer look at the yarn I dyed and used for the granny square. I don’t think I could replicate this dye since I used tie-dye kit that can be found here. 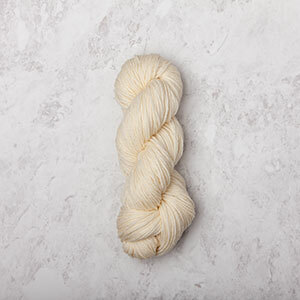 There is also a post similar to how I dyed this yarn that can be found here. If you would like to purchase this pattern without ads please head on over here. You can use any basic granny square here is the written pattern or you can use this video as a guide here. I continued until row 11. Cut a lot of 10″ of yarn for the hair. I don’t know the exact number I used though it was a lot! If you want to cut as you go you can do this too. Sew the horn in the middle of the unicorn head. Skip one sc and apply the ears on both sides. Design whatever eyes you like for the unicorn. I went with the sleeping unicorn. You can add eyelashes to your liking. I didn’t since I felt like it would be too much since my eyes are already big. Apply the head towards the center of the granny square. Apply both arms to the side of the unicorn face. I first applied to arms to the blanket center as much as I could and then I applied it somewhat to the unicorn face. To apply hair to the unicorn grab your smallest crochet hook (I grabbed my 2.00 mm you can use the 3.35mm) have the hook go under the sc like so in the picture. Pull the yarn thru evenly and tie a knot twice to secure the hair. Get creative with your hair! I applied mine in front a bit, behind the years, all around the horn and down a bit. With your bow and the same color (or you can use a different color) yarn wrap the yarn in the center of the bow a few times. I did mine roughly three-four times and tied tightly in the back hiding/blending in the string. Apply your bow off center or however, you like! Tada! There you have it a unicorn security buddy blanket!